A true Fender classic prized by guitarists worldwide for decades and one of the greatest backline amps ever made. The mid-'60s Twin Reverb has seen action in every imaginable venue and remains indispensable to this day. Be it rock, blues, country, jazz or anything else, this is what clean electric guitar sounds like. 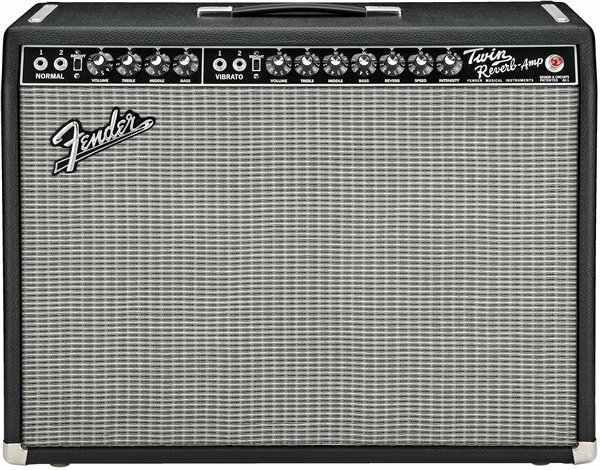 With its dual 12" speakers, timeless look and essential sound, the '65 Twin Reverb® is a truly magnificent tone machine that takes you back to an electrifying era with defining Fender sound and style.